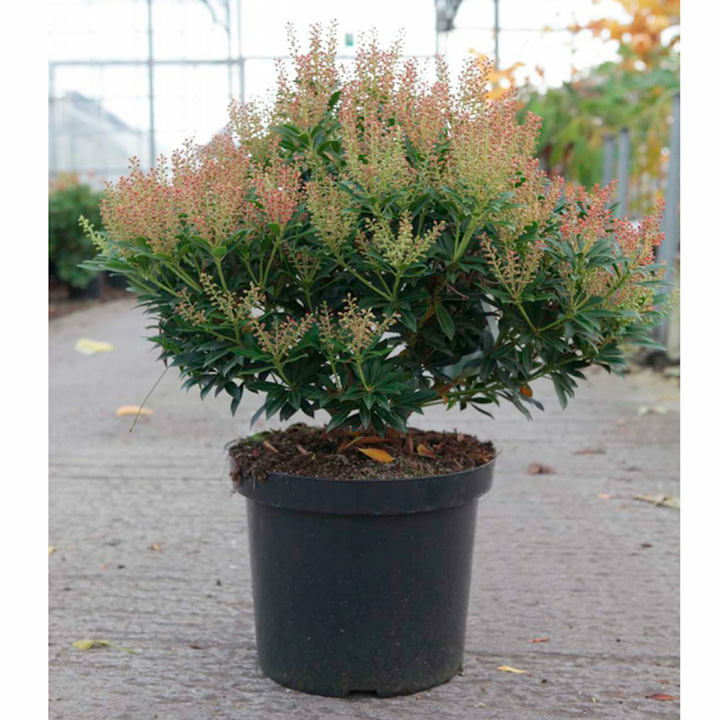 Pieris Debutante is a compact, low growing evergreen shrub with a rounded habit. 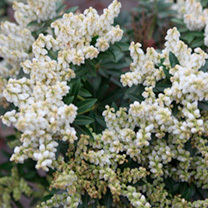 The leathery dark green leaves provide a great contrast for the panicles of creamy white, urn-shaped flowers. Height 100-150cm. 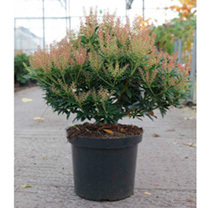 Supplied in a 3 litre pot or 7.;5-10 litre pot.